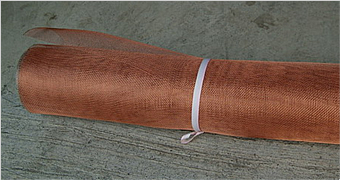 Brass Wire Mesh |Anping County Jincheng Metal Products Co ., Ltd.
Brass wire mesh (cloth), phosphor bronze wire mesh (cloth) and copper wire mesh (wire cloth), together with stainless steel woven wire mesh, are our most important wire mesh products from the starting of Jincheng. Jincheng provides good quality woven wire mesh and wire cloth in brass, phosphor bronze, copper, stainless steel and silver at very good price. Brass wire mesh (cloth) and phosphor bronze wire mesh (wire cloth) are frequently used as sieving and filtering materials in screening pellet, powder, porcelain clay and glass, chinaware printing, filtering liquid and gas. 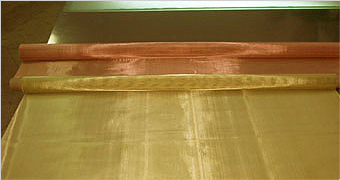 Brass wire mesh and wire cloth possess greater strength than copper wire mesh or bronze wire mesh. 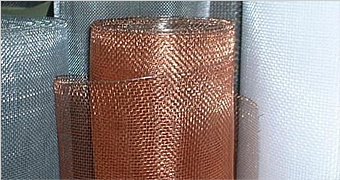 Copper wire cloth finds wide usage in traveling water screens, radio frequency interference shielding, sugar and marine applications. 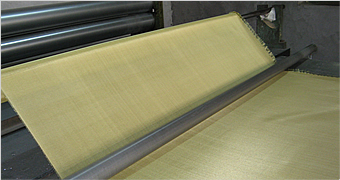 For more information about brass woven wire mesh and wire cloth products, please contact us.